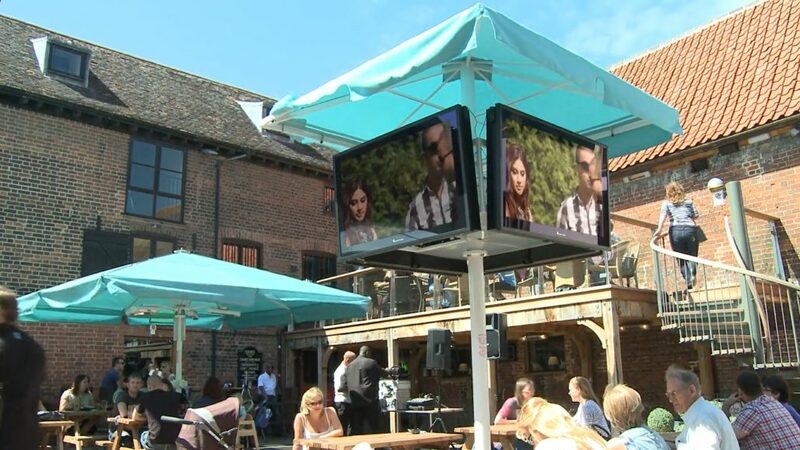 Aqualite Outdoor LED TV display screens for use outside are a real boon for publicans and bar owners especially if they have outside smoking areas, beer gardens or terraces. By installing an outdoor TV owners can attract customers, boost trade and allow their customers to enjoy the horse racing, golf, tennis and football outside with the good summer weather. By providing entertainment, publicans and bar owners can extend the busy period before and after music or sporting event screenings. They can also increasing the capacity of the pub, bar or hotel by making an outdoor space productive. The rate and return on an investment in outdoor TV screen installations is pretty impressive.